We’ll be together once again. 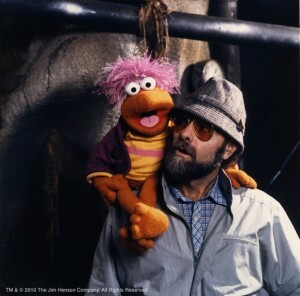 Reflecting on those last days, Jerry Nelson (Gobo Fraggle) said recently, “We were all sad to see the end of the show, and most felt it was the finest collective work any of us had done to that date. I still feel that way.” In June 2002, the group got together again for a reunion in Toronto and celebrated their work together with songs, stories and good cheer. 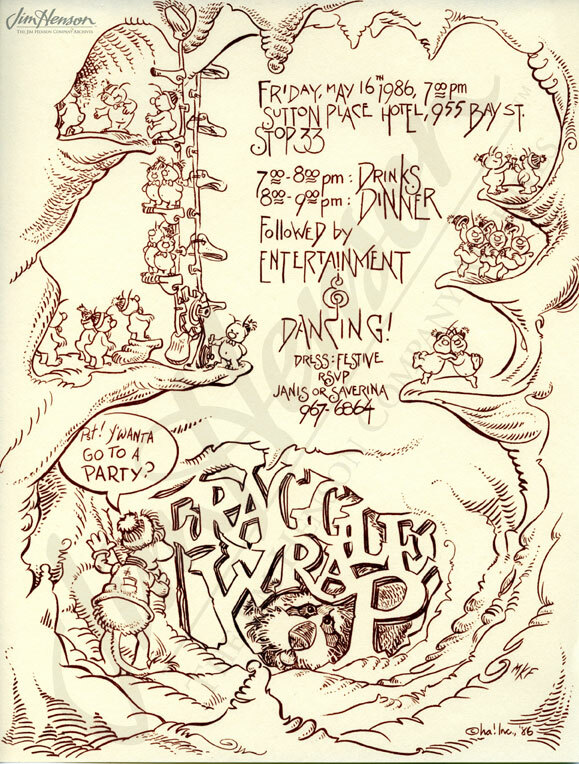 Video: Jim toasts the Fraggle crew and they sing a song at the wrap party on May 16, 1986. 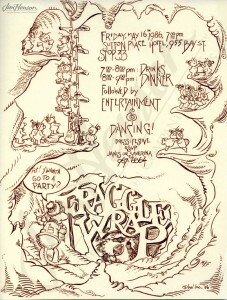 Fraggle Rock Wrap Party invitation designed by Michael Frith, 1986. Jerry Nelson and his Fraggle Rock alter-ego Gobo. This entry was posted in 05-May '86, 1986, Fraggle Rock and tagged Denis Lee, Doozers, Jerry Juhl, Jerry Nelson, Michael Frith, Philip Balsem, Sutton Place Hotel, Toronto. Bookmark the permalink.